Back again today with the second of my three last minute little Christmas bears. 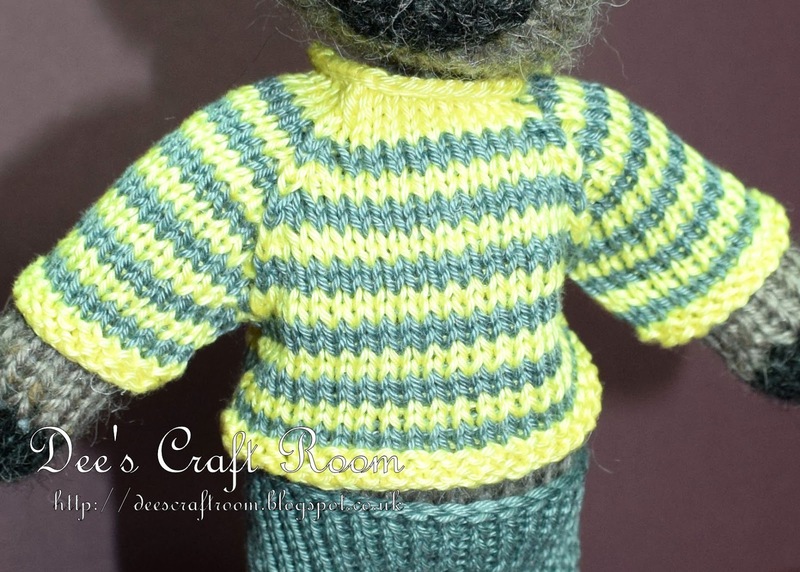 He is another one of Julie Williams patterns, this one is called 'Boy Bear' and it is available from Ravelry. 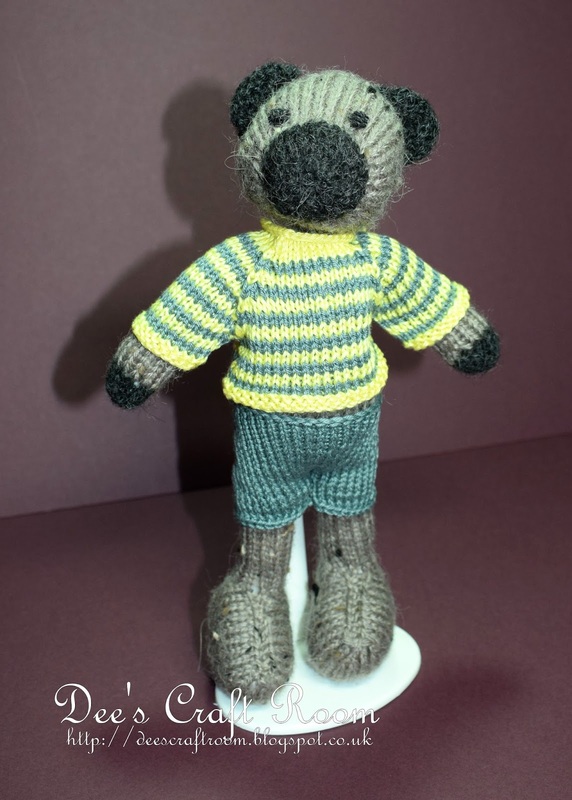 Like the little bear last week, he is made of a alpaca/wool mix double knit and his clothes are made of cotton 4 ply. I have found that alpaca or alpaca mix wools make really lovely toys, it is very soft and the fibers make them look a little furry. I like the color of the bear and looks great woth the green colors. Thank you, it can be fun putting all of the colour combinations together.